The commercial interior design market thrives on trendsetters and the trails they blaze. Instead of being greeted by the blinding light of your device of choice in the morning, all you have to do is ask Alexa for the latest news. When you ask Alexa for your news flash, you’ll receive the latest news in interior design and architecture. 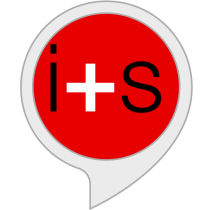 It's as simple as going to amazon.com, the Amazon app, or the Alexa app and searching for interiors+sources. Once you've located that big, unmistakable i+s, click Enable to Use. Now that it's added, any Alexa-supported voice device will deliver industry news and topics without the hassle of starting your day off on the wrong foot. Listen to the latest on interior design along with any national or world news that you might already be subscribed to. Involved in facility management? Check out the Buildings.com Skill, too! Using a brightly lit phone, tablet, or laptop immediately after waking up or before falling asleep can have adverse effects on your health and productivity. Instead, let voice-activated Alexa’s artificial intelligence brief you on the latest in design innovation, sustainability and more. Using an Alexa integrated device for the latest news also frees your hands and increases productivity during your morning routine, nightly ritual or busy day. One of the first concerns this writer had about the Alexa News Flash was how to read the rest of an article after hearing an amazing headline or summary. It’s as simple as opening up your Alexa app, going to Activity, and scrolling through the articles that Alexa listed.